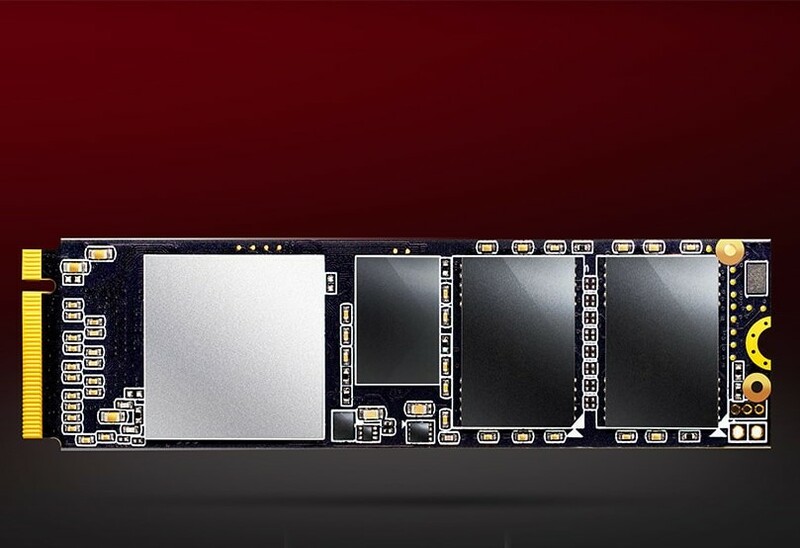 The XPG SX6000 NVMe SSD offers the best value on the market right now. For only US$145, gamers and video editing pros can benefit from 1 GB/s read speeds and 800 MB/s write speeds. The M.2-2280 form factor is designed to fit both desktops and laptops. ADATA also provides 128 GB, 256 GB and 1 TB variants. ADATA managed to streamline the cost-performance ratio for its SSD products, and it is now offering the best value with the new XPG SX6000 512 GB SSD, which features the latest Realtek RTS5760 controller. This is a NVMe PCIe Gen3x2 model that can easily replace a traditional SATA SSD due to its superior performance. Thanks to its M.2-2280 form factor, it can be used to upgrade laptops, as well as desktop PCs. The XPG SX6000 is targeted at gamers and video rendering professionals. It integrates 3D TLC NAND Flash memory chips, and the capacity can go up to 1 TB. ADATA also offers the SLC Caching and DRAM Cache Buffer technologies for improved stability and reliability. Sequential read speeds can reach 1 GB/s, while the sequential write speeds follow closely at 800 MB/s, so basically, this NVMe SSD is twice as fast as a regular SATA SSD. The DRAM buffer should boost the 4K random read/write speeds, which in turn shortens the system latency. Also included with the SSD is a heatsink for the DYI custom PC builders. The SSD is covered by a 5-year warranty. There also are smaller capacity models, but these have somewhat lower read/write speeds. The 128 GB one costs only US$50, the 256 GB model sells for US$85, and the 512 GB variant is a no-brainer best deal with a US$145 MSRP. These three models will be released in the coming weeks, but ADATA also plans to add the 1 TB variant by the end of the year.